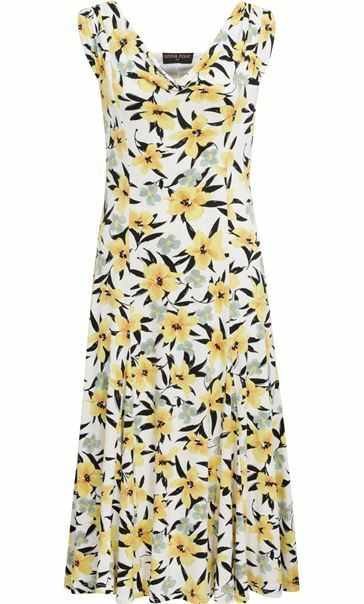 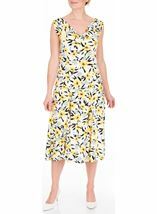 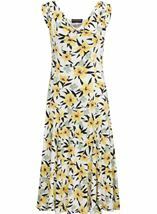 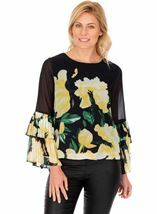 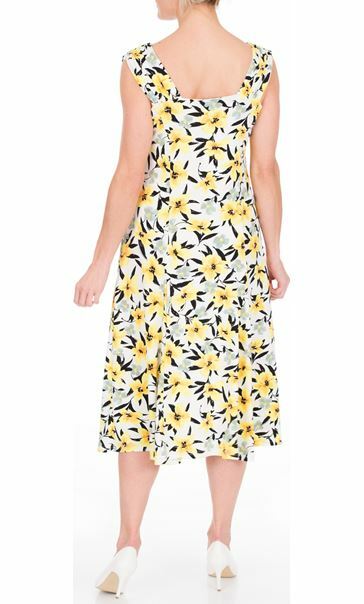 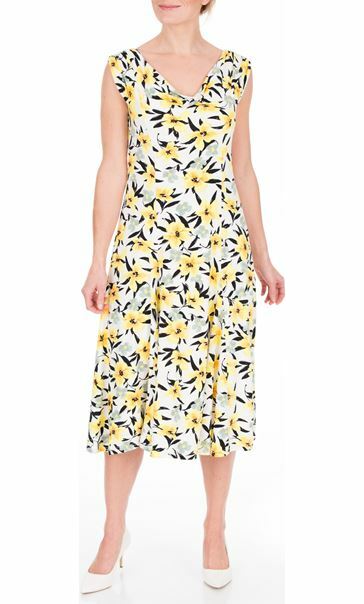 Add some colour to your occasion looks with this black, white and lemon floral printed Anna Rose midi dress. 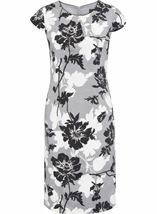 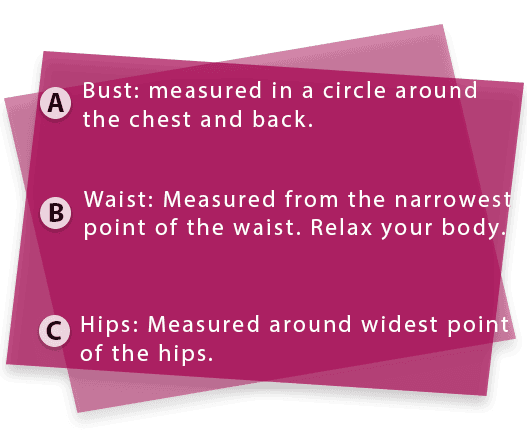 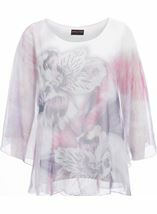 Designed in a stretch fabric with flattering cowl neck, sleeveless cut and lined. 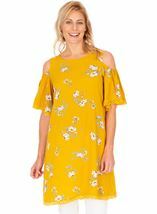 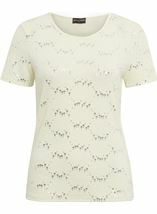 This beautiful dress is also designed to fit and flatter the figure. 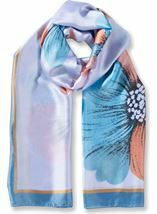 Back length 115cms.